The Access is scooter with simple and most basic features. However, the Suzuki’s brand name established because of its years of service in India has helped the Access to gain popularity and trust and made it most popular and bestselling scooter. The Access is equipped with a 125 cc engine and generates 9.8 Nm torque. It is sold in India in four colors viz. Red, Silver, pearl White and Metallic black. Following are technical details of the scooter. 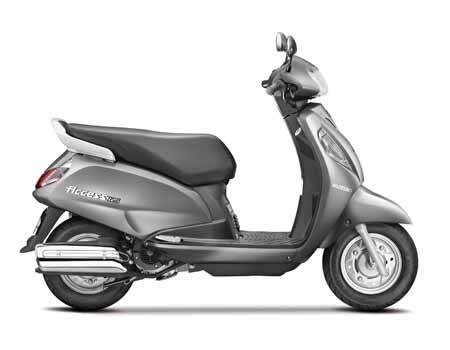 125 – This scooter has been equipped with 124 cc engine, has automatic transmission, 42 kmpl mileage and ex-showroom price around INR 52,221.